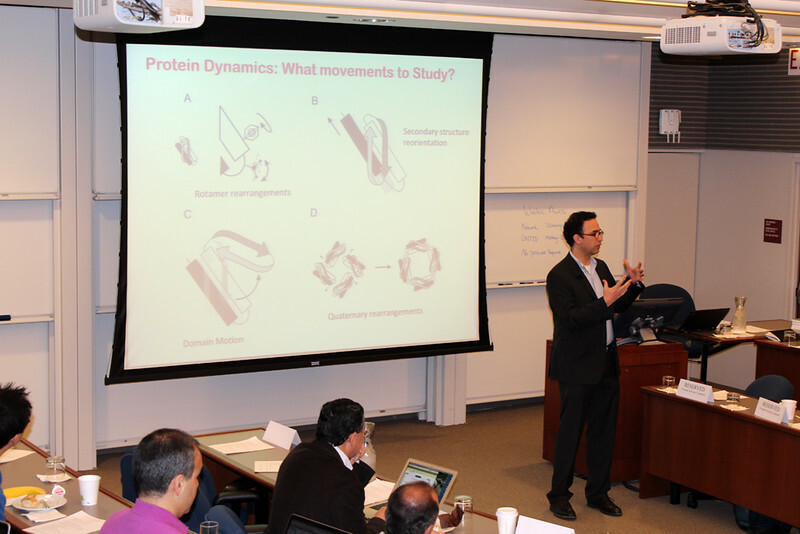 For the third year in a row, the Membrane Protein Structural Dynamics Consortium (MPSDC) hosted a number of events in its home base of Chicago during the month of May, key among these its third annual meeting. Unlike last year’s Frontiers in Membrane Protein Structural Dynamics conference, this year’s annual meeting was closed to the public, although there are plans to host a second open attendance conference in the near future. As in previous years, the MPSDC’s Computational Modeling Core hosted a membrane protein modeling workshop, and a mini-symposium concerning the latest advances in computational approaches to the study of membrane proteins. As before, the modeling workshop provided attendants with an overview of the use of the modeling dynamics and visualization software NAMD and VMD, and also featured Dr. Wonpil Im’s CHARMM-GUI Ligand Binder module. This year’s mini-symposium covered a number of topics including force field and atomic models, structural modeling with low-resolution data, and transition pathways. The minisymposium hosted a “keynote” lecture of sorts on 2D-IR Spectroscopy, held by Josh Carr from the University of Wisconson-Madison. 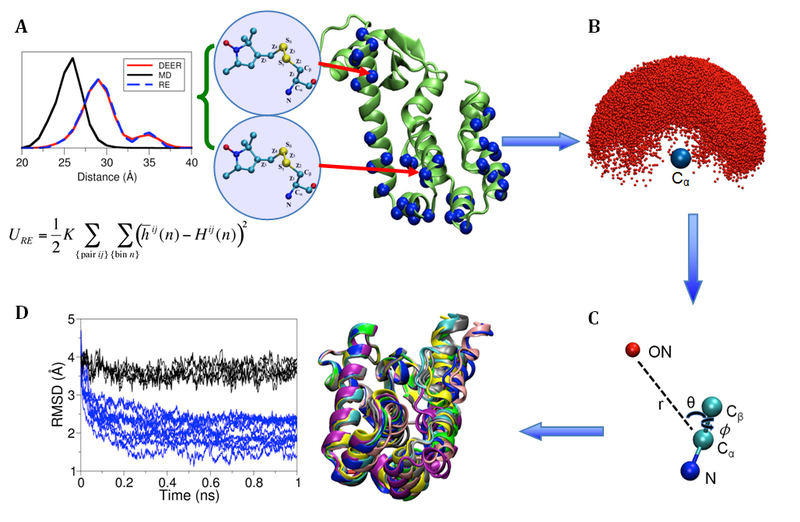 We are pleased to present you with a recording of Carr’s lecture, titled Connecting Experiment and Simulation by Modeling the Protein Amide I Band. This year, the Consortium’s Membrane Protein Expression/Purification Core held its first workshop as well. This workshop featured several Consortium collaborators such as Edith Buchinger from Goethe University, Stephen Pless and Lilie Leisle from the University of Iowa, and Andrzej Rajca from the University of Nebraska. Topics discussed at this workshop included cellular and cell-free production of membrane proteins, reconstitution, incorporation of unnatural amino acids, single antigen binder technologies, and chemistry of protein modification and nitroxide spin labels. Both workshops and minisymposium were well attended and productive, and we will continue to host such satellite events in the future. 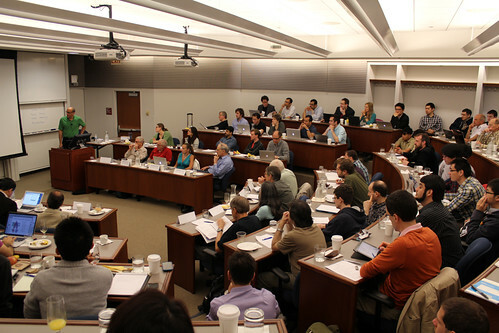 At this year’s annual meeting at the University of Chicago’s Gleacher Center, MPSDC director Eduardo Perozo highlighted the continual exchange of ideas within and dynamics of the Consortium itself. Focusing specifically on the activities of the past year’s accomplishments, Dr. Perozo discussed the rational and efficient consolidation of Core Facilities to their highest efficiency and optimal productivity in close collaboration with individual projects. For example, the Computational Modeling core is starting to provide a number of services and home-developed algorithms to the community at large, from quick force field parameterization of small molecules (and potential membrane protein ligands) to the conformational energetics biophysical probes, to important tools to the use and interpretation of long range distances and distance distributions from DEER experiments. Additionally, Dr. Perozo reported on the status of the Consortium’s unique bridging and pilot projects. Four of our bridging projects are currently in full swing, and one of the pilot projects has successfully transitioned to bridging project status. We have also incorporated two exciting new Pilot projects that bring new systems and new techniques to the Consortium. Followed by Dr. Perozo’s framing discussion, the PI’s of each of the three cores and seven projects described the progress made and latest scientific findings in their respective teams, providing attendees with the opportunity to respond and provide helpful feedback. The cores are designed to act as “innovation incubators” and research support centers by providing service and expertise in these critical areas: Membrane protein expression, the establishment of chemical synthesis capabilities for probes and detergents, the generation of a variety of binders and other crystallization chaperones and other target binders and the development of common computational tools to interpret and integrate the wealth of experimental data. Each of these feed and interconnect with individual projects in a highly interactive way. The Consortium’s projects are integrated as research efforts that tie together or enhance the contribution of the independent work and expertise of the participating investigator to the Consortium and expand the independent work in new directions. Ten talks in all, each of the PI’s of the MPSDC’s cores and projects presented on the very latest activities, which will soon be disseminated to the public in the form of publications and resources. On the second day of the annual meeting, we featured presentations from a number of our associate members. Associate members are junior faculty members who are pursuing exciting and innovative research parallel to the Consortium’s mission, and have therefore been given access to the interactions and core resources of the Consortium in a budget-neutral way. Several of our associate members have gone on to participate full-fledged in the Consortium’s activities, either by way of participating in existing projects (such as Wonpil Im with the Computational Modeling Core or Chris Ahern with the Membrane Protein Expression/Purification Core) or by starting new pilot projects. Both Olga Boudker and Ming Zhou started as associated members, and after presenting on their research at last year’s conference have gone on to spearhead new and promising pilot projects. Along these lines, we invited several of our associate members to present talks, in order to foster further cross-pollination between our research and theirs. This year, Luis Cuello from Texas Tech University presented on inactiviation gating at the K+ channel selectivity filter, Katherine Henzler-Wildman from Washington University presented on the mechanism of multi drug efflux by EmrE, Jens Meiler from Vanderbilt University presented on membrane protein structure & dynamics from limited experimental data, and Robert Keenan from the University of Chicago gave a talk on tail-anchored membrane protein insertion at the ER. In addition to Andrzej Rajca who participated in the Membrane Protein Production core workshop and other associate members like Francis Valiyaveetil, all of them bring state of the art expertise in different areas such as synthetic chemistry and chemical biology, and are expected to actively participate in several of the Consortium’s activities. In sum, we are thrilled to report that the Consortium is thriving, from both a strictly scientific stand point as well as in regards to our output to the community. 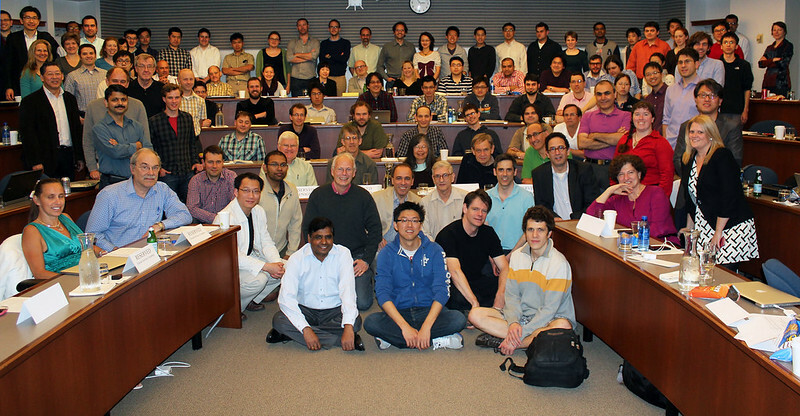 We’d like to thank all who attended and partook in this year’s discussions, and look forward to seeing you next year! Below are several photos of the annual meeting and satellite events. You can either browse through the photos here or visit the set on Flickr.